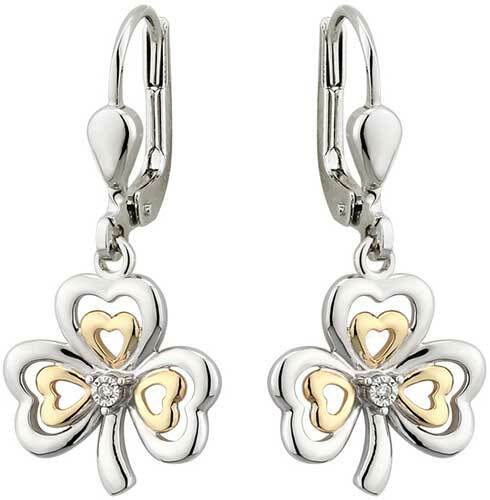 These sterling silver shamrock earrings are enhanced with 10K gold accenting along with center diamonds. The drop shamrock earrings are on latching Eurowires and measure 1/2" wide x 1" tall, from the bottom of the stem to the top of the wire. These Irish earrings are made by Solvar Jewelry in Dublin, Ireland and they are gift boxed with a shamrock history history card, complements of The Irish Gift House. 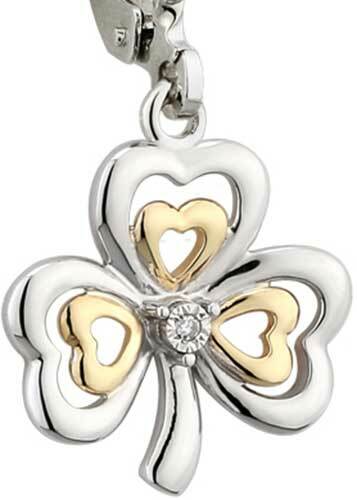 Shamrock necklace is a sterling silver design that features an emerald along with diamond accenting and yellow gold leaves. 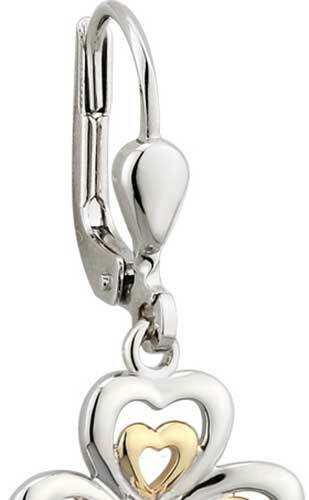 Shamrock pendant is a sterling silver design that features a freshwater pearl along with gold accenting.